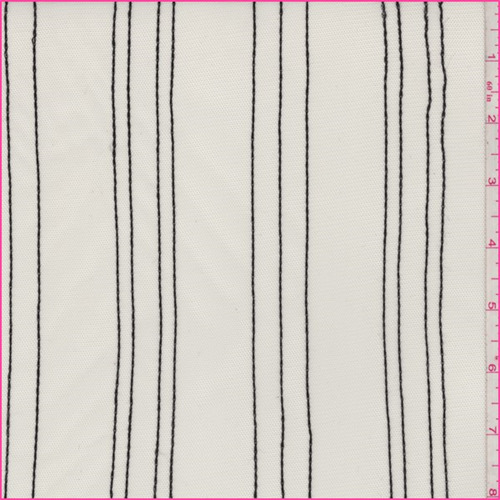 Lightweight polyester mesh with a vertical embroidered stripe. Coarse and dry hand/feel. Sheer, suitable for overlays. Machine wash gentle.